Arthur, Claire B. 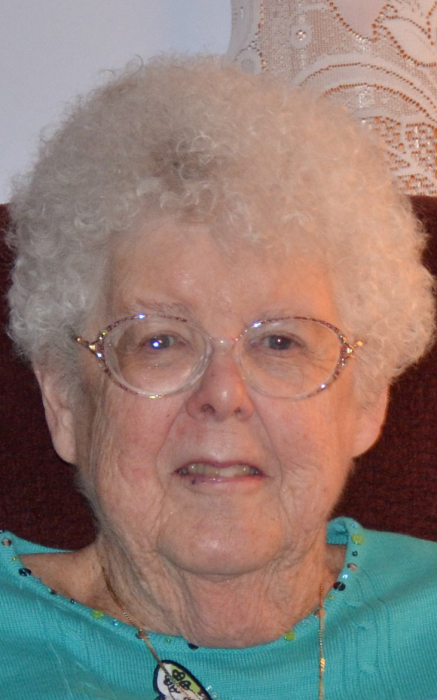 (Dolan) of Milton, passed away peacefully on January 31, 2019 at the age of 86 in the company of her loving family. She leaves behind a legacy of faith and family. Claire was a life-long resident of Milton and faithful Parishioner of St Elizabeth’s Parish. To all those who knew her, Claire was a devoted wife, mother, grandmother and friend. As a mother, she was a tireless chauffeur for her children and an avid baker for all the neighborhood children. She loved to travel even taking her young children on a cross country trip in a VW bus. Claire was the expert co-pilot on her many road trips with her husband and family. She was proud to have made it to almost all of the continental states. Claire loved being a grandmother. She attended many sporting events, recitals and other important milestones for each of her grandchildren. As her grandchildren got older, she was proud to share their academic and professional accomplishments with all she met. In her later years, Claire was well known to watch her daily mass and talk for hours on the phone with her sister Pat. She even became a passionate player of iPad games including Angry Birds and Plants vs Zombies. Throughout her life, Claire was known for her support of many charities. To commemorate her life, donations may be made to Father Bill’s Place/MainSpring House, 430 Belmont St., Brockton, MA 02301 helpfbms.org or Saint Elizabeth’s Parish, 350 Reedsdale Rd., Milton, MA 02186 stelizabethmilton.org Please omit flowers. Claire was predeceased by her husband John in 2007. She is survived by her children John Arthur and wife Linda (Brookfield, CT), Jean Arthur (Milton, MA), Kathleen Moran and husband Frank (Hanson, MA), Eileen Arthur (Milton, MA), Edward Arthur (Quincy, MA) and Daniel Arthur (Milton, MA) as well as her six grandchildren: Kerri, Katie, Bryan, Lauren, Timothy and Eric. Dear sister of Patricia Nover of TX, Anna Thomas of Pembroke and the late Henry Dolan. A Funeral Mass will be celebrated at St. Elizabeth Church, Milton, Saturday morning, February 9th at 10 AM. Visiting hours omitted.